Attorney General Jeff Sessions announced the Trump administration's intentions to officially rescind the Deferred Action for Childhood Arrivals (DACA) program, effectively ending the 2012 program that has deferred deportations for those who came to the United States as young immigrants. 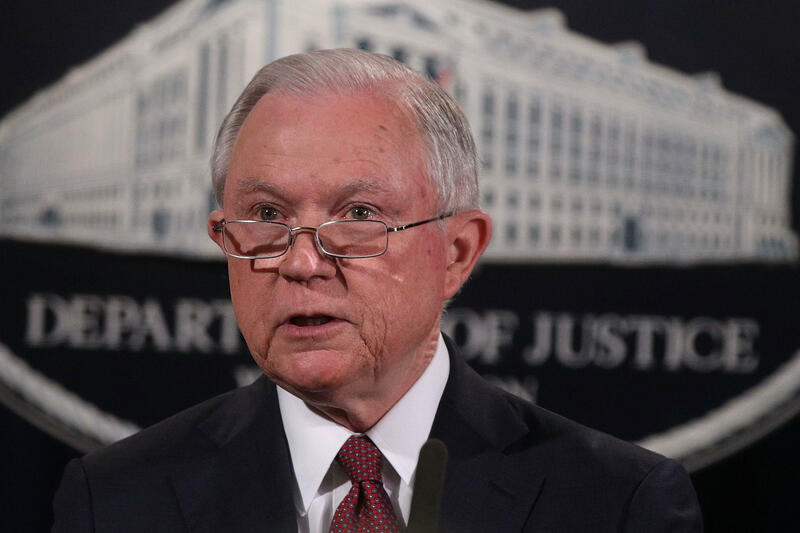 Sessions called the current program an "unconstitutional" overreach of executive authority that caused great legal concern after Congress initially rejected the legislative proposals to extend similar benefits to illegal immigrants. "The executive branch, through DACA, deliberately sought to achieve what the legislative branch specifically refused to authorize on multiple occasions. Such an open-ended circumvention of immigration laws was an unconstitutional exercise of authority by the executive branch," Sessions said of the Obama-era order. Sessions said the move was inconsistent with the Constitution's separation of powers, and advised the Department of Homeland Security to begin an "orderly, lawful wind-down" of the program. Acting DHS Secretary Elaine Duke then rescinded the 2012 memo from Janet Napolitano that originally permitted and established DACA. Not above the age of thirty. Those currently enrolled in the program whose permits expire by March 5, 2018 can apply for renewal as long as they do so by the October 5 deadline. Anyone who has a DACA permit expiring between now and March 5, 2018, can apply for a two-year renewal. That application must be submitted by Oct. 5, 2017. Senior DHS officials also told reporters that in regards to enforcement, the United States isn't changing the way it prioritizes deportations -- criminal aliens are still the top priority. The officials added that there is no plan at this time to target persons outside of those parameters, specifically as it relates to those under the DACA program. While the wind-down process includes a six-month window of adjudication, effectively allowing for Congress to craft its own immigration legislation, should they intend to, Sessions urged lawmakers to act carefully and swiftly. "Congress should carefully and thoughtfully pursue the types of reforms that are right for the American people," he said. "Our nation is comprised of good and decent people who want their government's leaders to fulfill their promises and advance an immigration policy that serves the national interest." He added, "If Congress chooses to make changes to those laws, to do so through the process set forth by our Founders in a way that advances the interest of the American people." Sessions also took the time to applaud the administration's efforts in combatting illegal immigration along the border saying the rollback will only make the country "safer and more secure." "It will further economically the lives of millions who are struggling," he argued. "And it will enable our country to more effectively teach new immigrants about our system of government and to assimilate them to the cultural understandings that support it." He added, "The substantial progress in reducing illegal immigration at our border seen in recent months is almost entirely due to the leadership of President Trump and his inspired federal immigration officers. But the problem is not solved. And without more action, we could see illegality rise again rather than be eliminated." Congress returned to Washington from its August recess this week. "Congress, get ready to do your job -- DACA!" Mr. Trump tweeted Tuesday morning. Senior DHS officials: DACA criteria deemed "too broad"
In a background call held before the attorney general's remarks, senior officials at DHS say Mr. Trump was "very involved" in the process of rolling back DACA, saying hte proecess would be the least disruptive and orderly phase out of the program. The administration won't consider new applications for legal status dated after Sept. 5. U.S. Citizenship and Immigration Services (USCIS) will reject all daca initial requests and EAD applications received after the date of Tuesday's memo, September 5th. Sessions: "DOJ can not defend this overreach"
"We are people of compassion and of law," says Sessions. Sessions touts the Trump administration's work on border control and immigration, saying "this admin has made great progress in the last few months in establishing a lawful and constituational immigration system," adding, "this makes us safer and more secure." The attorney general lauds Mr. Trump as saying immigration successes were "almost entirely due to leadership of President Trump and immigration officers." "If we were to keep Obama administration policy, the likeliest outcome it would too be enjoined just as was DACA," said Sessions. Sessions explaines that the Department of Homeland Security would begin an "orderly lawful wind down" and cancellation of the Obama-era memo that enacted DACA. A 6 month delay process would give congress time to pass their own legislation on the immigration law. Sessions: "We just can't admit everyone who wants to be here"
The nation must set and enforce a limit on how many immigrants we admit each year. This does not mean they're bad people or our nation disrespects or demeans them in any way, we are properly enforcing our laws as Congress has passed them," said Sessions. Sessions says DCA law "unconstitutional"
Attorney General Jeff Sessions is set to arrive and brief reporters at the Department of Justice on the DACA program. Sessions is currently running behind schedule.